The YANA Kids’ Clutter Sale is a semi-annual event that occurs in the Spring and Fall. This event has grown over the years and offers local families the opportunity to either buy and/or sell gently used children’s clothing, toys and equipment. The next sale is Sunday April 7, 2019 from 10am to 2pm. Consignment or donation drop-off is Saturday April 6, 2019 from 10am to 2pm. Like the Kids’ Clutter page on Facebook for updates and posts about upcoming sales. Contact kidsclutter@yanacomoxvalley.com for more information or if you have questions. Sellers receive 65% of tag price.If you are interested in selling and volunteering, you receive 75% of your sale price. Volunteers are also provided the opportunity to attend the pre-sale shop. There are many ways to get involved. The following links provide information about shopping, selling, donating and volunteering at Kids’ Clutter. This fundraiser lets you clean out your closets for a cause. Your gently-used clothing donations will be sorted and delivered to local consignment stores and assigned to the YANA account. This fundraiser lets you clean out your closets for a cause. 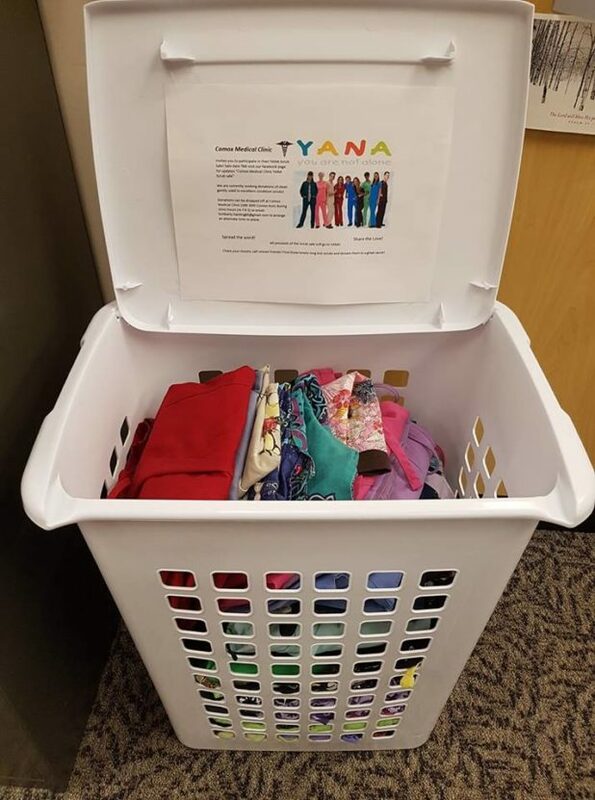 Your gently-used clothing donations will be sorted and delivered to local consignment stores and assigned to the YANA account. Connect with the organizer directly by emailing dgsemple@telus.net. 01marAll Day31maySupport YANA with a Flying Canoe Steak SandwichCrazy good deal! 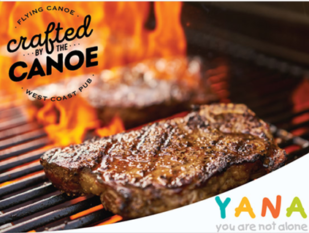 Support YANA Comox Valley on your lunch break by coming in to the Flying Canoe and enjoying their $8.99 Steak Sandwich and Fries! With every sandwich sold, a dollar will donated to help support Comox Valley families. Dine in only. Available from 11am – 3pm, Monday to Friday. 01apr10:00 am11:00 amValley Vonka and the Hot Chocolate Factory Launch Party 2019Scrumpdillyicious! 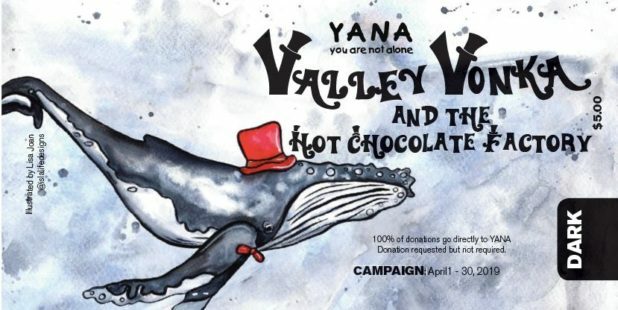 Celebrate the beginning of the 3rd Annual Valley Vonka and the Hot Chocolate Factory by joining us for hot chocolate at the YANA office! Get first dibs on chocolate bars, maybe you’ll win a golden ticket! Please join us for the launch of the Comox Valley Record & Courtney & Anglin Real Estate Group’s Valley Vonka in support of YANA. Bars will also be available throughout the month of April, while they last, at Hot Chocolates and participating merchants (see the April 2 Record for full details). 01apr10:00 am30(apr 30)12:00 amValley Vonka and the Hot Chocolate Factory 2019Scrumpdillyicious! 3rd Annual Valley Vonka and the Hot Chocolate Factory- JUST IN TIME FOR EASTER! and of course the YANA office! *See the Comox Valley Record for more details and find out about the coloring contest too! 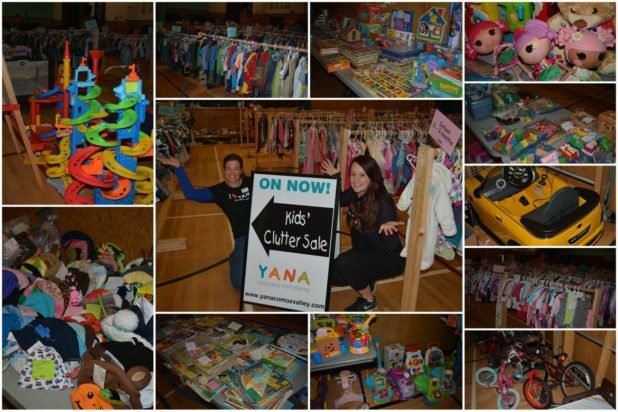 The YANA Kids’ Clutter Sale is a semi-annual event that occurs in the Spring and Fall. This event has grown over the years and offers local families the opportunity to either buy and/or sell gently used children’s clothing, toys and equipment. Consignment or donation drop-off is on Saturday from 10am to 2pm with the sale open to the public on Sunday from 10am to 2pm. Like the Kids’ Clutter page on Facebook for updates and posts about upcoming sales. Contact kidsclutter@yanacomoxvalley.com for more information or if you have questions. 13apr1:00 pm4:00 pmSnapdragon Dairy Farm Day for YANAGoats goodness! FARM DAY for YANA! 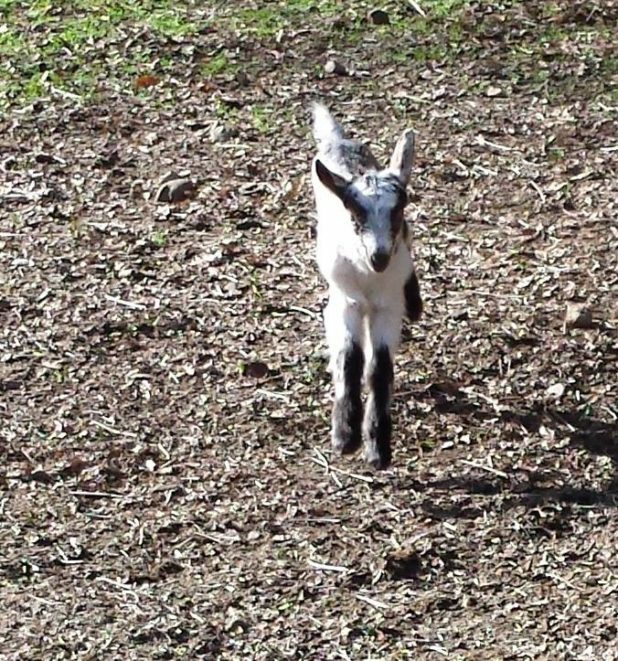 Rain or shine at Snapdragon Dairy in Fanny Bay (1km South of Buckley Bay Ferry) 18 baby goats, mama and papa goat, 2 piglets, a goose, 3 ducks, 2 dogs, Plus chickens!!! Entry is $2 and all money goes to YANA. Join Investors Group and the Town of Comox for Easter family events at Marina Park. Have fun with an Easter egg hunt for all ages, inflatable obstacle course, face painting and a charity BBQ. Activities 1130am to 2pm with Easter egg hunt starting at 12pm sharp! All cash donation for activities and BBQ supports You Are Not Alone (YANA). Free! 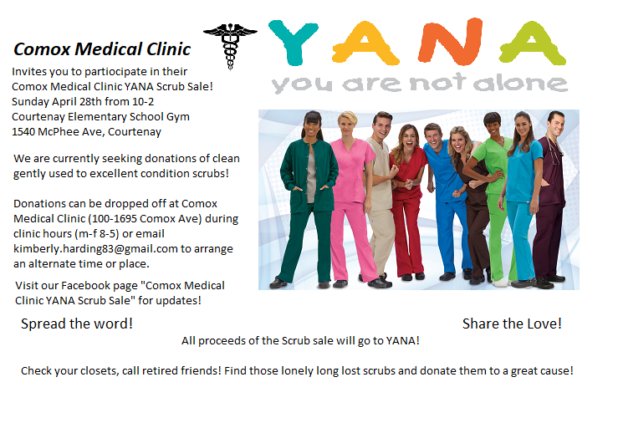 28apr10:00 am2:00 pmComox Medical Clinic's YANA Scrub SaleMark it down on your calendar! YANA provides accommodation and funding to Comox Valley families who need to travel to access medical services for a child or an expecting mother.